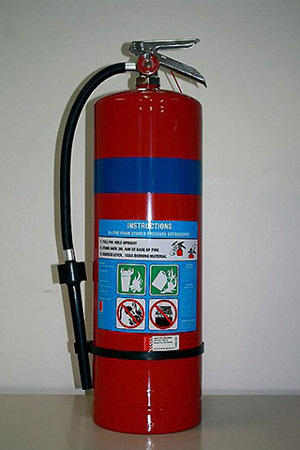 WHAT IS A FOAM (AFFF) FIRE EXTINGUISHER? Best used on fuel fires. It works by applying a frothy foam or seal over the fuel, preventing oxygen reaching it. Unlike powder, foam can be used to progressively extinguish fires without flashback. Best used on A & B type fires (Wood, Paper, Plastic, Flammable and Combustible Liquids). ot to be used Flammable Gases and Electrically Energized Equipment and has limited use with Cooking Oil & Fats. In fact, it can be dangerous if used on electrical equipment. WHY BUY YOUR FOAM (AFFF) EXTINGUISHER FROM LONDON FIRE & SAFE?